Fun things happen in our collaborative spaces. The Seattle Collaborative Space Alliance (SCSA) organizes Seattle Coworking Week and encourages everyone to visit as many Seattle Coworking spaces as possible. For 5 spaces visited everyone earns a free SCSA coffee mug! Various spaces in Seattle offer free visitor days. 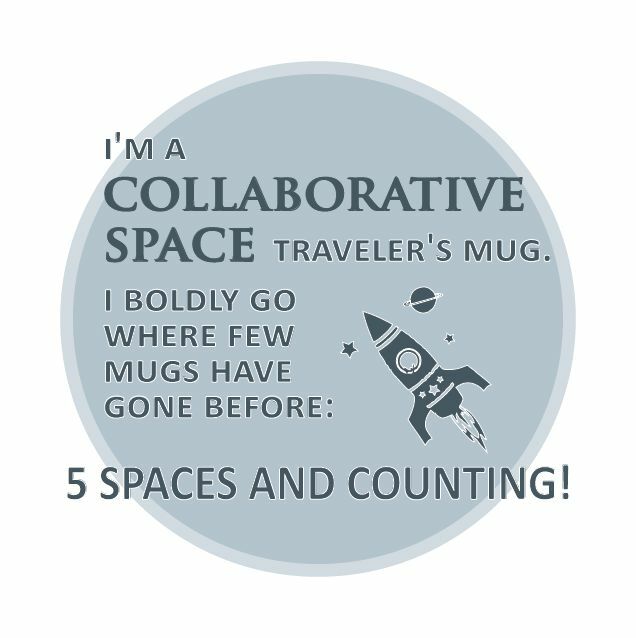 Just visit, check in on Four Square or facebook or any other APP, post a picture on Facebook showing you High Five someone in the space- and earn your mug! Here is a map of all the spaces! Twitter at #SEAcoWeek and CollaborativeSpaces website!